National Jury Consultants is the leading Trial and Jury consulting firm in the nation. We are a full service firm that specializes in winning cases. We have handled over 10,000 cases and our clients are industry leaders in the commercial and private sectors. We have a reputation for winning cases. Reliability, dependability, and efficiency are the cornerstones of our firm. We strive to rise above other jury consultant firms and deliver the highest quality of professional trial and jury consulting services. No case is too big or too small for us to handle. Our firm is fully committed to helping you solve your critical legal challenges while offering applicable solutions for winning cases. You have our promise that we will give your case our utmost attention to surpass your professional expectations of what you can expect from a highly trained trial and jury consulting firm. We offer assistance at any stage of litigation you are involved with, however, the earlier we can assist you, the greater the opportunity you will have to address your concerns and possibly resolve the legal matter before the start of the trial. Our research techniques and sophisticated graphics have been developed exclusively for successful litigation. These procedures allow our firm to help attorneys better understand the behavioral dynamics of jurors. Dr. Hennington is recognized as a national leader in the field of Trial and Jury Consulting. He is known for his ability to craft litigation strategies to help his clients win in trials. He received his Ph.D. and an M.A. Degree from the California School of Professional Psychology in Clinical Psychology and also has an Educational Master’s Degree in Counseling Psychology from Columbia University. He received a B.S. Degree in Social Science from U.C. Berkeley. For over 17 years he has represented clients in various courts throughout the country and is a member of the American Psychology Association’s Law and Psychology Division. He has served on the professional visibility board of the American Society of Trial Consultants. He specializes in jury research, juror profiles, and jury selection in both civil and criminal cases. He has published over 20 articles in the areas of cultural considerations for jury composition and selection. 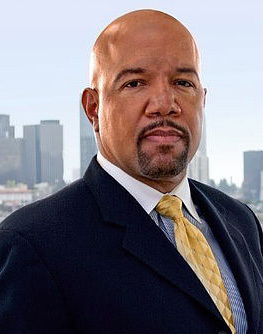 His forensic, analytic, and qualitative psychological skills have been successfully used to conduct community attitude surveys, mock jury focus group research, and to develop computerized juror profiles for jury selection and jury research. He travels extensively providing strategic consultation to help his clients win cases. Dr. Hennington has represented numerous corporations including Coca-Cola, Ford Motor Company, Hewlett-Packard, MasterCard, WellPoint, American International Group, Dow Chemical Corporation, Prudential Financial, Lockheed Martin, Delta Airlines, HCA Holdings, Chevron Oil Corporation, State Farm Insurance, Fireman’s Fund, Universal Pictures, Vivendi, American Airlines, and Chase Bank. He has also represented The California Department of Transportation, King Drew Medical Center, and The Department of Justice. Dr. Hennington has done legal consulting for numerous high profile criminal trials including the Thomas Toolan murder trial in Nantucket, the Ron Ruden murder trial in Las Vegas “Operation Casablanca” (the largest money laundering trial in U.S. history), and the Reverend Henry Lyons corruption trial in St. Petersburg, Florida. Dr. Hennington has represented numerous executives and celebrities in the entertainment business. Dr. Hennington served as a legal commentator for the Michael Jackson trial and he is the Author of the book “Words of Wisdom for My Daughter, Life Lessons” (available on Amazon.com). Dr. Hennington is a regular commentator on CNN and MSNBC. He is often retained as an Expert Witness and is recognized as a leader among jury experts, with a deep understanding of jury psychology. Dr. Hennington is a relative of Lewis Marshall who was the Chief Justice of the New York Appeals Court. He is also a 4th generation Doctor.